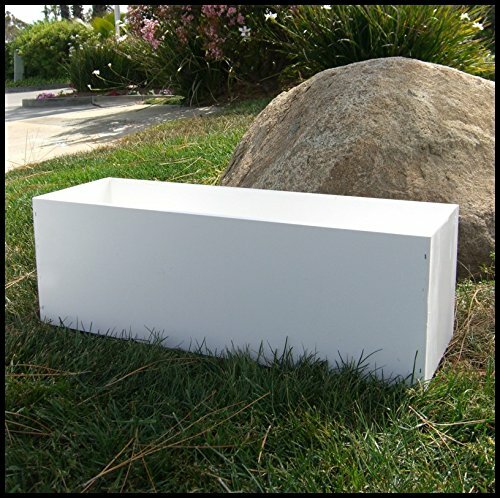 Made from the same Cellular PVC as the shells of our Estate Collection Boxes, these 1/2" thick liner is handmade by our dedicated craftsmen to be used inside of our Iron and Aluminum Window Boxes or as a stand alone container. Choose from six stock sizes (24" - 72"), these liners are 10" Wide by 10" Tall. The corners are not mitre cut nor are the tops finished with trim but many homeowners appreciate them as small planters none the less. Will not rot, crack, warp or twist as they are impervious to water - also insect proof.